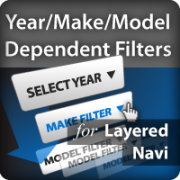 This extension allows configuring Make -> Model -> Year and similar filter dependencies in layered navigation. Filter dependency means that when user lands on a page, Make filter is shown and filters dependent on it are hidden. When customer selects an option from Make filter, Model filter (configured to be dependent upon Make filter) appears. When customer chooses model, Year filter (dependent upon Model filter) appears. 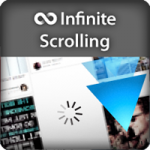 Pages load faster as fewer filters have to be counted and rendered. 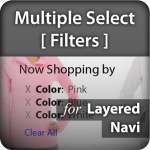 Store customer is guided through product selection process by offering him common filtering options in the beginning and introducing additional filters as she drills through product hierarchy. Make -> Model -> Year filter dependency is just an example. Year/Make/Model Dependent Filters for Layered Navigation allows to create dependencies between any filters. 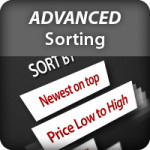 For instance, extension demo contains Price -> Manufacturer -> Color filter dependencies. Creating filter dependency is easy - just pick another filter from dropdown and dependency already works! There may be many filters dependent on the same filter. When more general filter is cleared, other applied filters dependent on it are cleared as well. 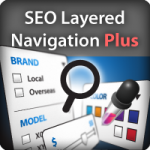 Includes multiple-select feature for layered navigation. 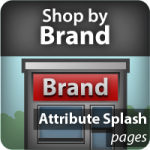 Includes fast AJAX refresh feature.